As reported by the CBC, the City of Calgary, Alberta is negotiating with the Canadian federal government for new powers that will give it more say over contaminated land within its borders. The City of Calgary is currently managing 34 contaminated sites within its borders. It has set aside a pool of $2.8 million for monitoring and clean-up of the sites. Additional monies have also been set aside for closure of existing landfills and as well as millions more earmarked for the clean-up of Old Refinery Park (the site of an oil refinery that operated from 1926 to 1976. Besides the 34 contaminated sites managed by the municipality, the federal government is responsible for 13 contaminated sites, and there are undetermined number that are the responsibility of private landowners. The City wants the authority to inspect and order the clean-up of the contaminated sites it doesn’t own. It also wants to have the ability to clean-up the sites it has control over without the need for approval from the Province of Alberta. 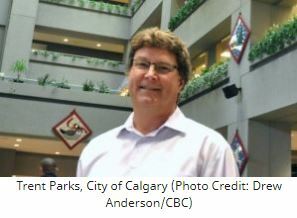 City officials want to change the rules on contaminated sites and have included it as part of ongoing negotiations with the Province for a new city charter for Calgary. 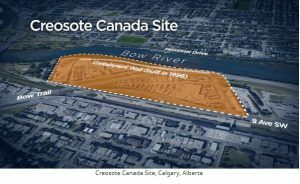 The mayor of Calgary, Naheed Nenshi, cites the example of the contaminated site that was formerly a gas station called Gas Plus and now under control of the Province. A 9,000 litre link from an underground storage tank at the gas station contaminated the soil and groundwater. The Province is just starting to clean-up of the site after seven years. Without an environmental site assessment, there is no way of knowing if a property is contaminated or not. In most jurisdictions, if not all, it is the provincial government that can order a private landowner to conduct an ESA on a property but only if off-site migration of contamination is suspected and adverse health or environmental impacts are suspected. In the CBC article, Christopher De Sousa, the director of the School of Urban and Regional Planning at Ryerson University in Toronto, stated it is fairly standard for municipalities not to have the power to order ESA’s. Even at the provincial level, Mr. De Sousa said that inventories of contaminated sites are focused on government owned properties only. “If they don’t own it, they’re not including it in that inventory,” he said. “I would say a lot of jurisdictions are hesitant, historically, to inventory brownfields,” Mr. De Sousa said of industrial sites when asked by the CBC if it’s normally difficult to come up with hard numbers. Mr. De Sousa only knew of one municipal jurisdiction in North America – New York City – that had the authority to order environmental investigations for contamination and clean-up. He said it can benefit a city to have more authority over the sites if they’re willing to look at it intelligently and strategically. The Alberta government is going to release city charters for Calgary and in July, outlining expanded powers for the city on everything from contaminated sites to affordable housing to municipal tribunals for bylaw offences. It remains to be seen if the City will be granting the power of the control and management of contaminated sites it is seeking.